In what seems to be a long overdue report, Anthony Davis has officially requested a trade from the New Orleans Pelicans. Adrian Wojnarowski of ESPN was the first to report the request. The only real head-scratcher on this report is the timing of it all. It’s been reported that the Boston Celtics have the most assets to part with, and could piece together the best deal for New Orleans. However, due to the Celtics acquiring Kyrie Irving on a Rose Rule contract last season, Danny Ainge is unable to make an offer for the 25-year-old until this summer. Davis is in the seventh year of his NBA career, all of which he has spent with New Orleans. That being said, in those seven years he has never gotten past the second round of the Western Conference playoffs –– and appears destined to miss the playoffs this year. Consequently, Pelicans GM Dell Demps no longer has any real leverage in negotiations around Davis. The first reported asking price of the Pelicans came from Brad Turner of the LA Times on Monday morning. If that’s the case, and Los Angeles isn’t willing to part ways with these assets, then Boston could jump in this offseason with likely a more attractive offer. 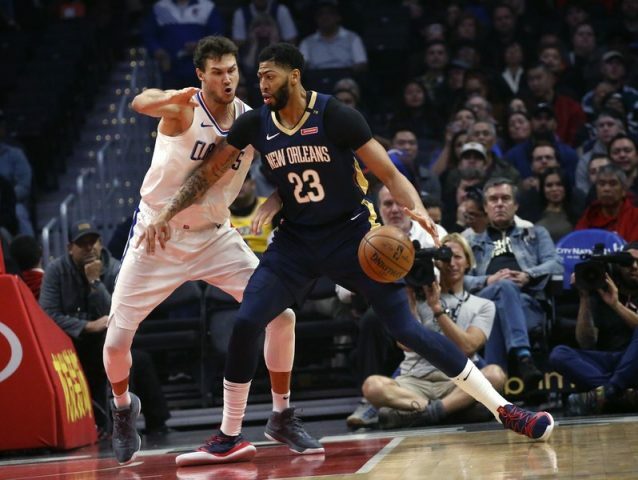 Davis is 29.3 points and 13.3 rebounds per game for a Pelicans team that is in 13th place in the West, and six games out of the eighth and final playoff spot. It’ll be interesting to see what transpires with the NBA Trade Deadline under two weeks away.